1. Auflage, Nachdruck 1997. Sprache: Englisch. 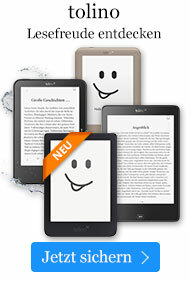 Buch € 56,49* inkl. MwSt. 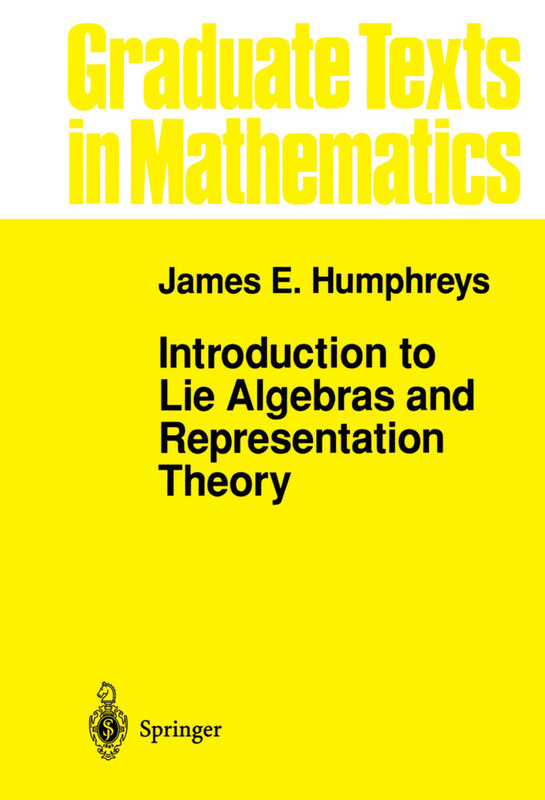 This book is designed to introduce the reader to the theory of semisimple Lie algebras over an algebraically closed field of characteristic 0, with emphasis on representations. A good knowledge of linear algebra (including eigenvalues, bilinear forms, euclidean spaces, and tensor products of vector spaces) is presupposed, as well as some acquaintance with the methods of abstract algebra. The first four chapters might well be read by a bright undergraduate; however, the remaining three chapters are admittedly a little more demanding. Besides being useful in many parts of mathematics and physics, the theory of semisimple Lie algebras is inherently attractive, combining as it does a certain amount of depth and a satisfying degree of completeness in its basic results. Since Jacobson's book appeared a decade ago, improvements have been made even in the classical parts of the theory. I have tried to incor­ porate some of them here and to provide easier access to the subject for non-specialists. For the specialist, the following features should be noted: (I) The Jordan-Chevalley decomposition of linear transformations is emphasized, with "toral" subalgebras replacing the more traditional Cartan subalgebras in the semisimple case. (2) The conjugacy theorem for Cartan subalgebras is proved (following D. J. Winter and G. D. Mostow) by elementary Lie algebra methods, avoiding the use of algebraic geometry. - 1. Definitions and first examples. - 1.1 The notion of Lie algebra. - 1.2 Linear Lie algebras. - 1.3 Lie algebras of derivations. - 1.4 Abstract Lie algebras. - 2. Ideals and homomorphisms. - 2.2 Homomorphisms and representations. - 3. Solvable and nilpotent Lie algebras. - 4. Theorems of Lie and Cartan. - 5.1 Criterion for semisimplicity. - 5.4 Abstract Jordan decomposition. - 6. Complete reducibility of representations. - 6.2 Casimir element of a representation. - 6.4 Preservation of Jordan decomposition. - 7. Representations of sl (2, F). - 7.1 Weights and maximal vectors. - 7.2 Classification of irreducible modules. - 8. Root space decomposition. - 8.1 Maximal toral subalgebras and roots. - 8.2 Centralizer of H.
- 9.1 Reflections in a euclidean space. - 9.4 Pairs of roots. - 10. Simple roots and Weyl group. - 10.1 Bases and Weyl chambers. - 10.2 Lemmas on simple roots. - 10.3 The Weyl group. - 10.4 Irreducible root systems. - 11.1 Cartan matrix of ?. - 11.2 Coxeter graphs and Dynkin diagrams. - 12. Construction of root systems and automorphisms. - 12.1 Construction of types A-G.
- 12.2 Automorphisms of ?. - 13. Abstract theory of weights. - 13.3 The weight ?. IV. Isomorphism and Conjugacy Theorems. - 14.1 Reduction to the simple case. - 15.1 Decomposition of L relative to ad x. - 16.1 The group g (L). - 16.2 Conjugacy of CSA's (solvable case). - 16.4 Conjugacy of Borel subalgebras. - 17. Universal enveloping algebras. - 17.1 Tensor and symmetric algebras. - 17.2 Construction of U(L). - 17.3 PBW Theorem and consequences. - 17.4 Proof of PBW Theorem. - 17.5 Free Lie algebras. - 17. Generators and relations. - 17.2 Consequences of (S1)-(S3). - 17.4 Application: Existence and uniqueness theorems. - 18. The simple algebras. - 18.1 Criterion for semisimplicity. - 18.2 The classical algebras. - 20. Weights and maximal vectors. - 20.2 Standard cyclic modules. - 20.3 Existence and uniqueness theorems. - 21. Finite dimensional modules. - 21.1 Necessary condition for finite dimension. - 21.2 Sufficient condition for finite dimension. - 21.3 Weight strings and weight diagrams. - 21.4 Generators and relations for V(?). - 22.1 A universal Casimir element. - 22.2 Traces on weight spaces. - 23.1 Invariant polynomial functions. - 23.2 Standard cyclic modules and characters. - 24. Formulas of Weyl, Kostant, and Steinberg. - 24.1 Some functions on H*. - 24.2 Kostant's multiplicity formula. VII. Chevalley Algebras and Groups. - 25.1 Pairs of roots. - 25.2 Existence of a Chevalley basis. - 25.4 Reduction modulo a prime. - 25.5 Construction of Chevalley groups (adjoint type). - 26.1 A combinatorial lemma. - 26.2 Special case: sl (2, F). - 26.3 Lemmas on commutation. - 26.4 Proof of Kostant's Theorem. - 27.1 Existence of admissible lattices. - 27.2 Stabilizer of an admissible lattice. - 27.3 Variation of admissible lattice. - 27.4 Passage to an arbitrary field. - 27.5 Survey of related results.- References.- Afterword (1994).- Index of Terminology.- Index of Symbols.